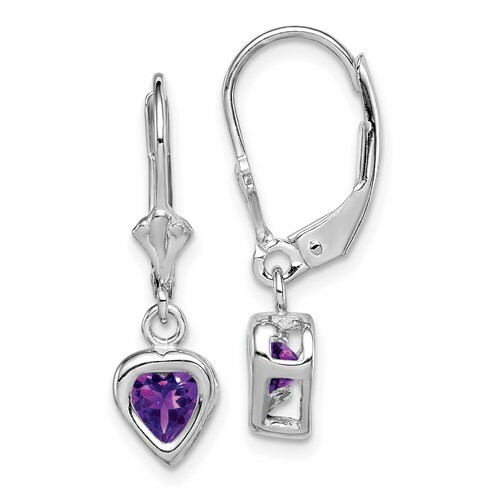 5mm heart amethyst leverback earrings are made of polished sterling silver. Weight:1.6 grams. Import. Gift for my 8 yr granddaughter. She loves them. My granddaughter wanted her birthstone in a lever back earring. Hard to find anywhere within a reasonable price. This selection was perfect. She loves the earrings and wears them a lot.